The new micronized colour powders from ADM are made up of particles that are much smaller than conventional colour pigments. This gives the powders a larger surface – in relative terms – and increases their opacity. As a result, they give foodstuffs a highly intensive and striking colouring. ADM offers its customers micronized colour powders for all common colour shades. The new solutions complete the previous range from yellow to red, now also allowing additional colourings in green and blue. The raw materials that the ADM developers use are colouring foodstuffs such as safflower, curcumin, red radish and spirulina. 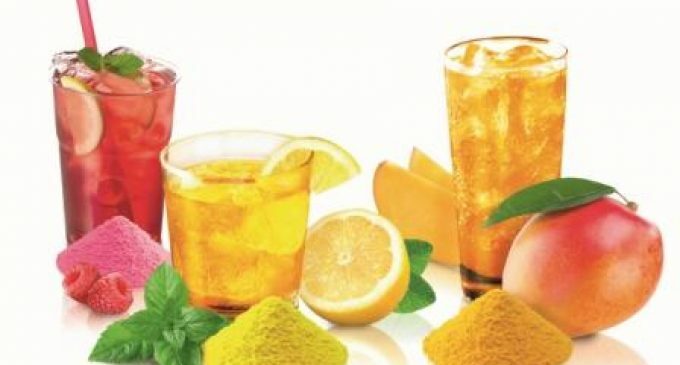 The products are available for instant beverages, chewing gum, powder mixtures, concentrates and confectionery. Despite the small particle size, the colours are by no means nano-materials. The WILD Rainbow Range, ADM’s range of colouring foodstuffs and natural colours, has also been expanded and now includes paprika as a new colouring foodstuff that can be used for all food applications. It is suitable for all pH values and is heat-stable. In contrast to orange carrot, for example, paprika extract does not change its colour and become more yellow when heated, but rather retains its original orange. Paprika can be used to give a bright orange colour to various products, including confectionery, snacks, ice cream, baked goods, breakfast cereals and chewing gum. It is actually an original colour rather than the result of mixing two separate colours (red and yellow). Both the micronized colour powder and paprika extract can be declared as ingredients with no E numbers, which means that they are suitable for clean label products. Learn more about these ingredients and solutions at www.wildflavors.com.